All new construction roofs must have positive slope to drain.. Cold Weather Membrane Applications In cold weather regions, membrane selection must conform to the membrane manufacturer’s recommendations for January in service design temperature. See Accepted TPO/PVC Membranes for RoofStar Guaranteed roof systems. See also Section 3 for special requirements concerning Membrane Roof Systems. 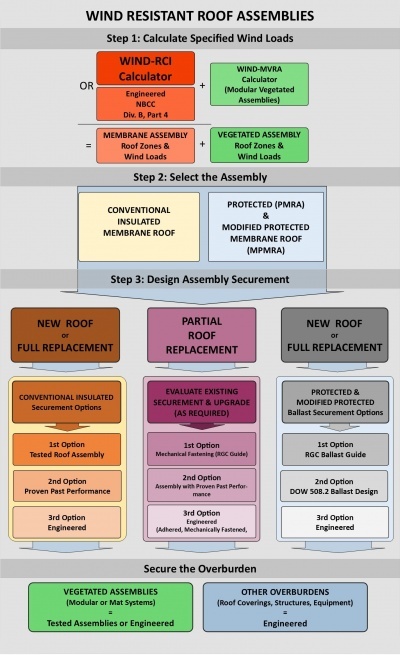 See Accepted TPO/PVC Membranes for RoofStar Guaranteed roof systems.